How do I make changes to a workflow that has already been assigned to a job? 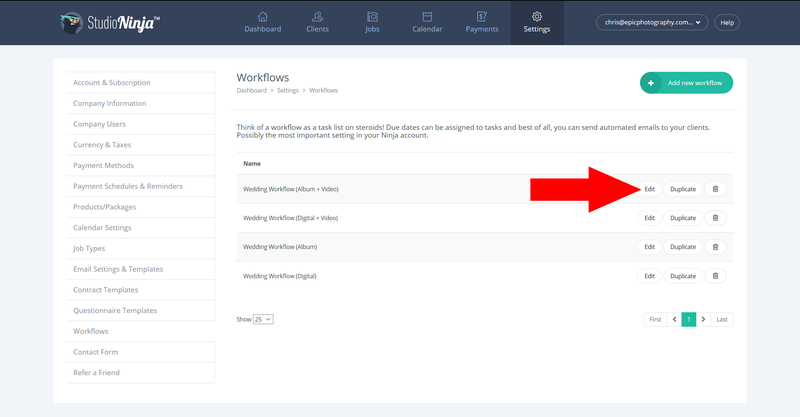 Step 1: Go to Settings > Workflows and click on the 'Edit' button of an existing workflow that you would like to make changes to. Step 2: Make changes to your workflow and click on the 'Save workflow' button. Step 3: Go to the job profile page of the job that has the workflow that you would like to change. Step 4: Click on the ‘Edit Job’ button. 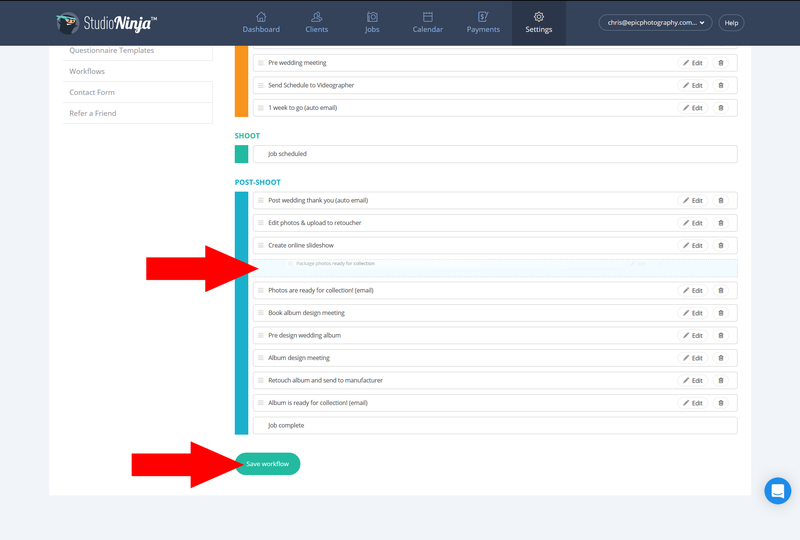 Step 5: Click on the Workflow: drop down menu and select the new workflow that you would like to use. 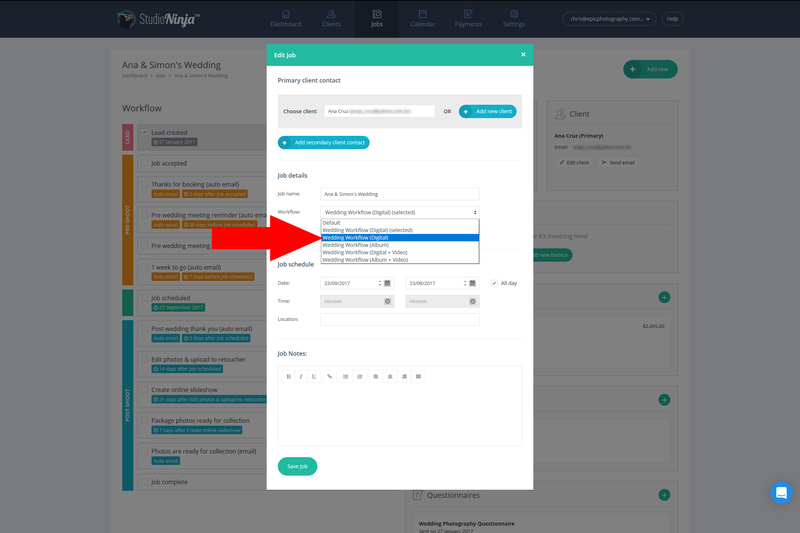 You will notice that there are two workflows with the same name, in the example above Wedding Workflow (Digital) and Wedding Workflow (Digital) (Selected). Wedding Workflow (Digital) (Selected): This is the current workflow that is assigned to this job. This is also the older version of the workflow before you updated it. Wedding Workflow (Digital): This is the new updated workflow. Step 6: Choose the workflow that does NOT have the word (Selected) in it to assign the new updated workflow to this job and click the 'Save job' button. The updated workflow has now been assigned to this Job!